Keeping your stabilizing jacks attached to your RV while driving can present a problem. They can impede ground clearance, which is an issue especially when the terrain is uneven. This can cause damage to your jacks, even to the point where they will not work. You may not even be aware of it if damage is caused, being met with an unpleasant surprise when you attempt to use them. The SaveAJack Quick Release Jack Saver allows the stabilizing scissor jacks to be removed when not in use, so they do not have to stay connected to your motorhome. 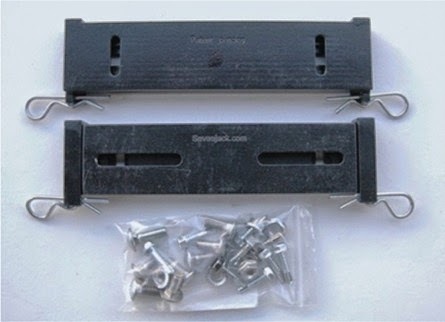 The SaveAJack uses a two bracket system that attaches to your RV's frame, so the jack is attached to the bracket through the use of cotter pins. This way your stabilizing jack can be installed or removed quickly and easily. It is made to work with almost any type scissor jack and fits any RV that has a 2" wide frame. All the hardware needed for installation is also included. Using the SaveAJack system decreases the impeded clearance space of several inches down to less than one inch. The brackets themselves are made from steel, so they stay durable. 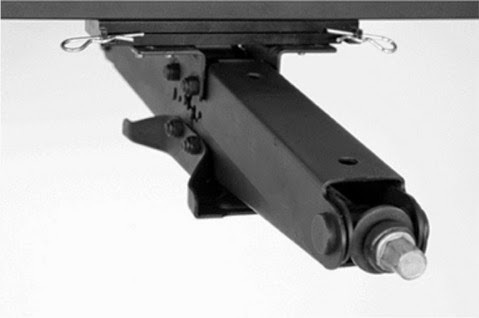 SaveAJack eliminates the potential of having your stabilizing jacks coming in contact with the ground while driving. As the name suggests, SaveAJack extends the useful life of the jack, because they can now be stowed separately. The jacks stay protected when going over ground that is not level, including driveways. This saves you the time and expense of potential replacement as well.